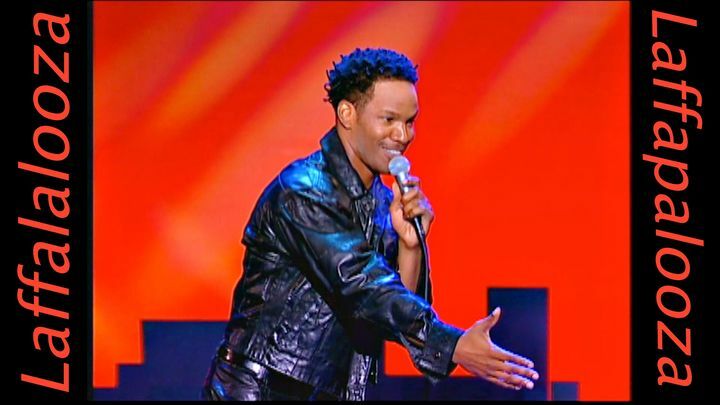 Jamie Foxx presents Showtime's funny Laffapalooza program spotlighting the comic gifts of several of the host's peers and friends. While the show's format can get in the way of its purpose--there are too many testimonials between acts about the rough road of stand-up comedy--the performers generally fare well. One-name funnyman Speedy defines the difference between white and black behavior at expensive restaurants: White people fight over the right to pay the bill while black customers argue over who ate what. Alexis Thomas provides a wicked demonstration of how rap songs are cleaned up for music videos, and asks the audience to imagine the impossible: Yesterday's African American music stars (Billy Ocean, etc.) swearing. Rodney Perry explains why black men don't care about women's legs, and the mountainous Lavell Crawford gives a hysterical impression of his mother breaking into gospel songs upon hearing that he has diabetes.